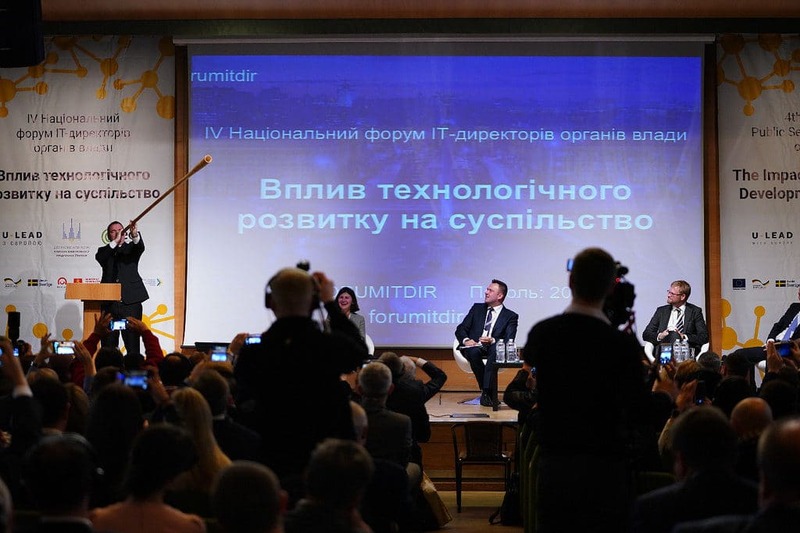 On 1-2 November, the 4th Forum for IT Managers of Ukraine brought together up to 300 public sector IT managers to discuss how the rapid development of digital technologies is influencing public sector operations and which changes and challenges driven by digital transformation the society in Ukraine is facing. The event was organised by State Agency for E-Governance of Ukraine and the eGA’s EGOV4UKRAINE project to enhance networking between IT Directors. 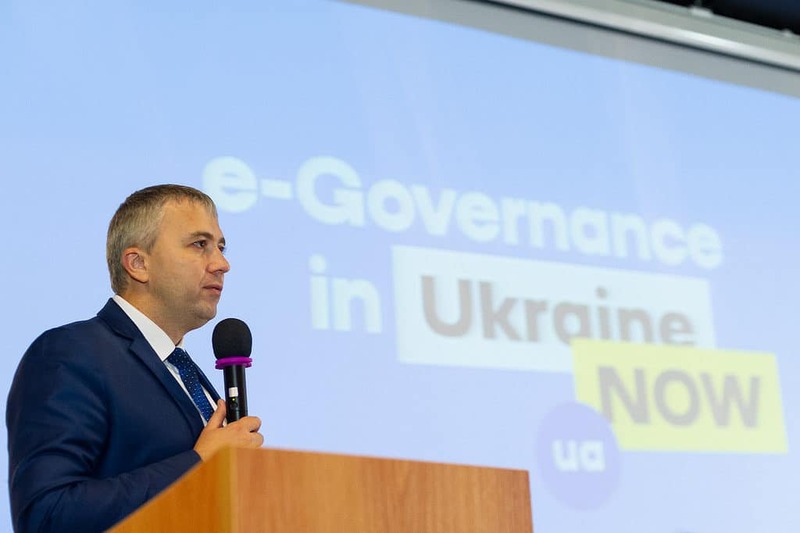 According to Oleksandr Ryzhenko, the Head of State Agency for e-Government of Ukraine, the forum opened new horizons for the development and promotion of e-governance in Ukraine. “Along with our partners Ukraine has done a lot by developing secure data exchange between government agencies, modernising public services and opening data. 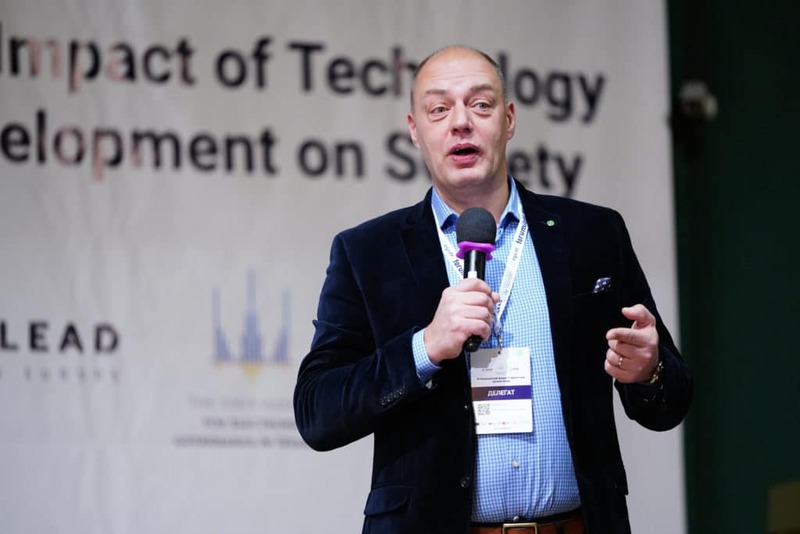 There are still many tasks in process and the forum creates a good opportunity to share information with IT directors as our first partners for accelerating the e-governance development in Ukraine,” said Ryzhenko. Keynote speaker Linnar Viik, the Director of Smart Government Programme emphasised in his speech that it is time to think about e-governance as a driving force for the general digital transformation, not only as a method of reforming public administration with the help of digital technologies. “All investments in e-governance need to be associated with the broader digital transformation of society. A digital strategy for any ministry or government agency should focus on how the particular citizens and businesses that are impacted by the government could benefit more from this strategy,” said Viik. The two-day forum discussed the next steps of developing e-governance in Ukraine and cyber security topics and examined new smart city and open data initiatives. In the forum, the EGOV4Ukraine project presented the status of the two large-scale IT developments that support the decentralisation processes and e-governance development in Ukraine: the secure data exchange system Trembita and the information system Vulyk. “Trembita system and Vulyk create new standards of public service delivery by making the interaction with the government more convenient, paper- and hassle-free,” said Mari Pedak, the Team Leader of the EGOV4Ukraine project. According to Mari Pedak, the eGA team is currently finalising its first round of piloting of the information system Vulyk in 10 administrative service centres (ASCs) and prepares the integration process for small ASCs. 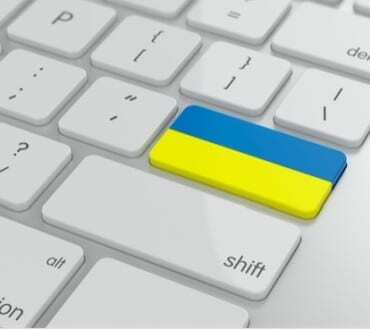 The Trembita system has been delivered to the State Agency for e-Governance of Ukraine and is waiting for security certification to start the integration of databases of state authorities, which will allow for e-services to be developed. The Forum’s videostreams are available on the web-page of the Forum. The 4th Forum for IT Managers of Ukraine was organised by State Agency for E-Governance of Ukraine and the eGA’s EGOV4UKRAINE project with the assistance of the European Union and its Member States Denmark, Estonia, Germany, Poland and Sweden. EGOV4UKRAINE is part of Ukraine’s decentralisation programme U-LEAD with Europe for more transparent and accountable governance and support activities and is implemented by e-Governance Academy.